Two new Sports Ambassadors, Lindsay Sword and Julia Fountain, were appointed last week. Their role is to promote sport among the pupils and to organise sporting events. Sixth year pupils are currently arranging a number of Community Involvement placements, which will enable them to use part of the school week in volunteering. Many of these opportunities are linked to careers that the young people are hoping to pursue and we are grateful to local employers who support the programme. Congratulations to Eilidh McDowall (2B), who was the best Kilsyth Academy entrant in the recent Inspire Aspire competition, and also a national finalist. Eilidh received her medal at assembly last week. The Parent Council will meet on Thursday 3rd September, at 7.00 p.m., in the school. Congratulations to the five pupils who achieved eight A passes in their National 5 examinations – Archie Grant, Holly McArthur, Anne Paterson, Ross Quinn and Jack Rennie. Similarly, congratulations to the five pupils who achieved five A passes at Higher, in S5 – Blair Anderson, Lewis Cameron, Kayley Forsyth, Erin Main and Annie Mason and to the two pupils who achieved three Advanced Highers at grade A – Erika Allen and Kathryn Marshall. These are fantastic achievements from all concerned and are testimony to the hard work that each of these young people put into their studies. S1 individual photographs were taken last week and the pupils have been issued with order forms, which should be returned to the school, with full payment, by Wednesday 2nd September. The 2015 Yearbook finally arrived, during the summer holiday, and those who ordered a copy can uplift it from Miss Reilly. Thanks go to last year’s Yearbook team for putting it all together. Senior pupils are visiting a range of University Open Days, as part of the groundwork to prepare application forms for courses that will begin in the autumn of 2016. Over the next few weeks, the Seniors will be working on Personal Statements, supported by Mrs Kerr and on Monday 31st August, we will be holding a UCAS Information Evening, to provide parents of S5/6 pupils with information about the process of applying for university. This will include details about funding, qualifications etc and we will be having a guest speaker along – Professor Kevin O’Gorman from Heriot Watt University. The evening begins at 7.00 p.m. and we are hoping for a good turnout. Blair Anderson (Vice Captain), Angus Buck, Lewis Cameron (Vice Captain), Jack Devlin, Courtney Forsyth (Vice Captain), Kayley Forsyth, Joanna Hay, Rachel Kimmett (Vice Captain), Chloe Laggan, Scott Leslie, Erin Main (Captain), Annie Mason, Connie McFarlane, Kirstin McLaren, Lucy Rutherford, Christopher Smith, Nicola Wilson. 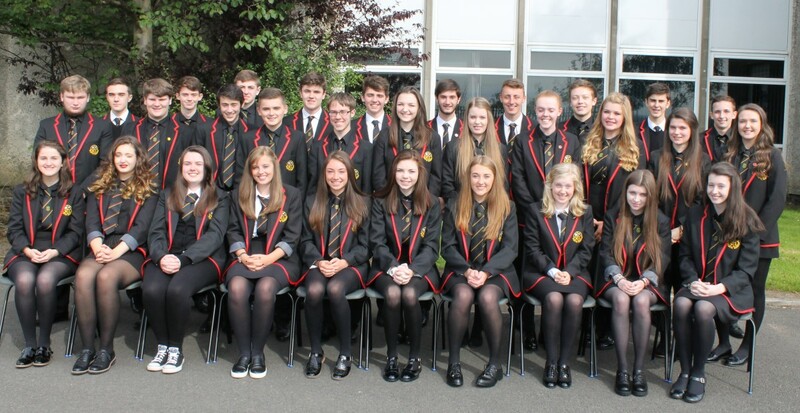 A further group of prefects will be appointed in the coming weeks. We are delighted to welcome our new S1 pupils to the Academy and wish them all every success in the years to come. Well done to pupils from last session’s S4, S5 and S6 on their excellent achievements in SQA examinations. We are very pleased with the results and it is clear that pupils’ and teachers’ hard work really paid off, particularly with respect to all the new qualifications. We wish last year’s leavers every success as they embark on either new courses in Further or Higher Education, or on new careers. Similarly, our warm congratulations to former pupils who graduated over the summer. We are pleased to welcome a number of new staff. Miss Annette Graham has joined us as Principal Teacher of Humanities and she will also be teaching Modern Studies. We wish her every success in this new role. We have also welcomed Miss McFarlane (Modern Languages), Miss Rae (Mathematics), Mr Mullen (Computing), Miss Stirling (Biology), Mrs O’Neill (Mathematics), Mrs Coggill (English), Mrs Bowes (Geography) and Mr Martins (PE). We hope that they will all greatly enjoy their time in Kilsyth Academy. On Monday 31st August, we will be holding a UCAS Information Evening, to provide parents of S5/6 pupils with information about the process of applying for university. This will include details about funding, qualifications etc and we will be having a guest speaker along – Professor Kevin O’Gorman from Heriot Watt University. The evening begins at 7.00 p.m. and we are hoping for a good turnout.